Writing can be hard enough, and editing's no cakewalk, but editing your own writing...whew. 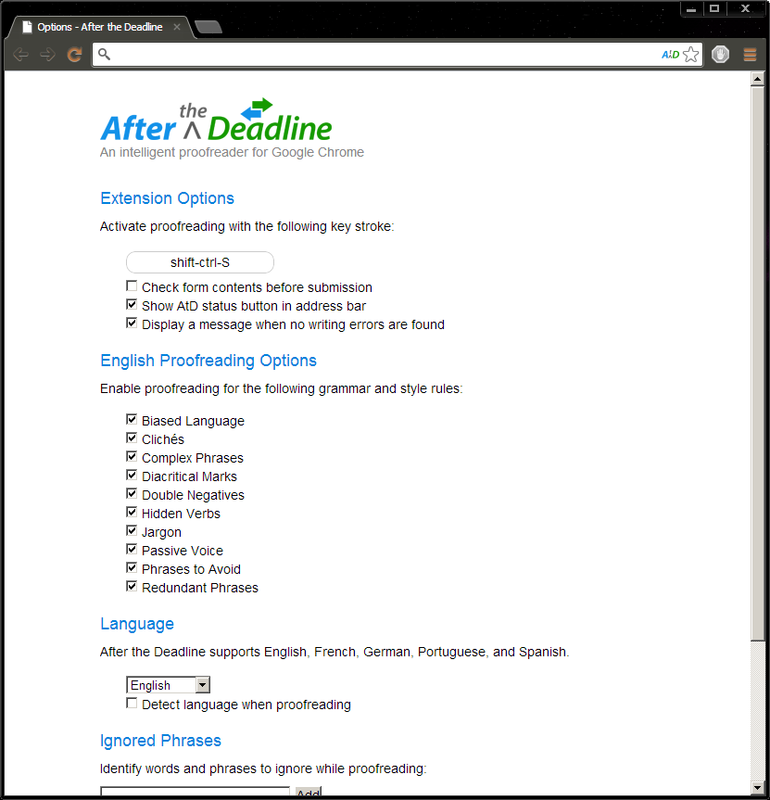 After the Deadline helps you get the job done, bringing the full complement of editing tools found in office suites to browser-based applications and blogging software. 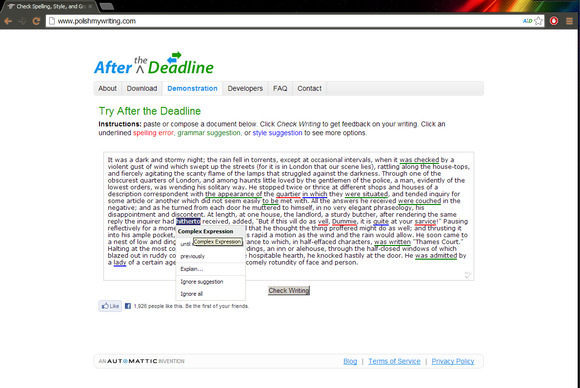 After the Deadline integrates neatly into other programs (Chrome pictured here) to help you check for style problems. Available as an add-on for Chrome, Firefox, OpenOffice, and Wordpress (as well as some lesser-known programs), After the Deadline goes well beyond the basics of spelling and grammar checks. It conducts stylistic analysis, outlining passive voice usage and other pitfalls common to fiction writing. Its implementation is very unobtrusive, with suspect words or phrases underlined in red for spelling errors, green for grammar suggestions and blue for style issues. 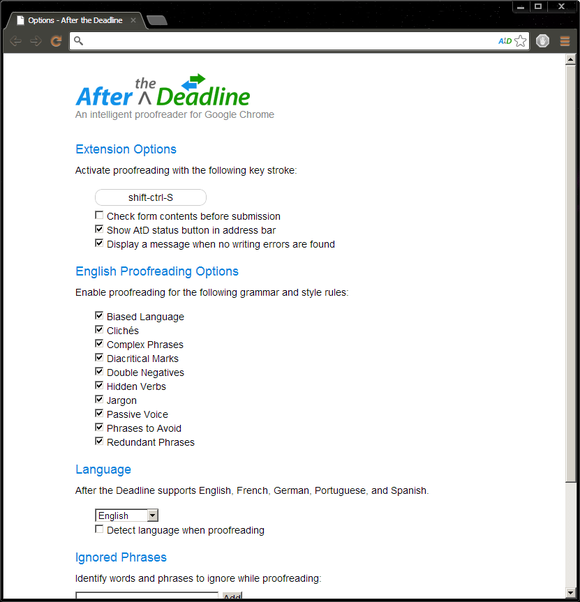 After the Deadline is free for personal use and requires an Internet connection. Note: The Download button takes you to the vendor's site, where you can download the desired add-on. This writer-friendly add-on checks grammar, style, spelling and more for Chrome, Firefox, WordPress, and others.